These two episodes couldn’t be more different from each other. The episode begins with much needed exposition that clears up some of last week’s events. 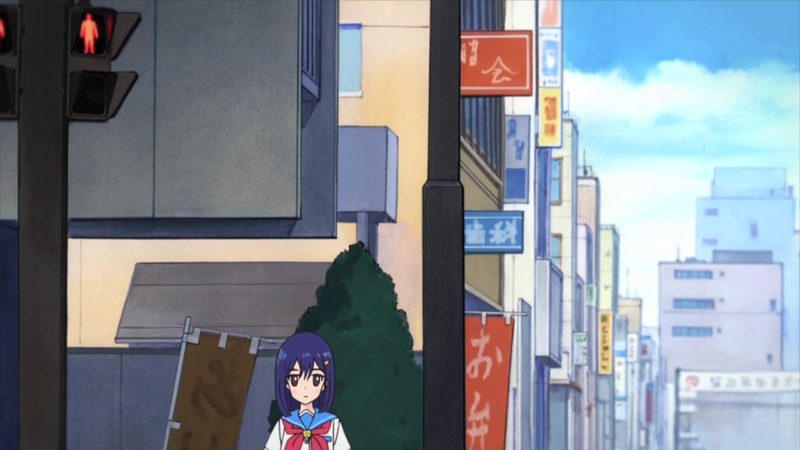 While the show’s aura of mystery still remains, the girls begin to learn the consequences of their actions, which increases Cocona’s doubts regarding their mission to collect fragments. She then gets trapped in a Pure Illusion that on the first sight looks just like her own world. 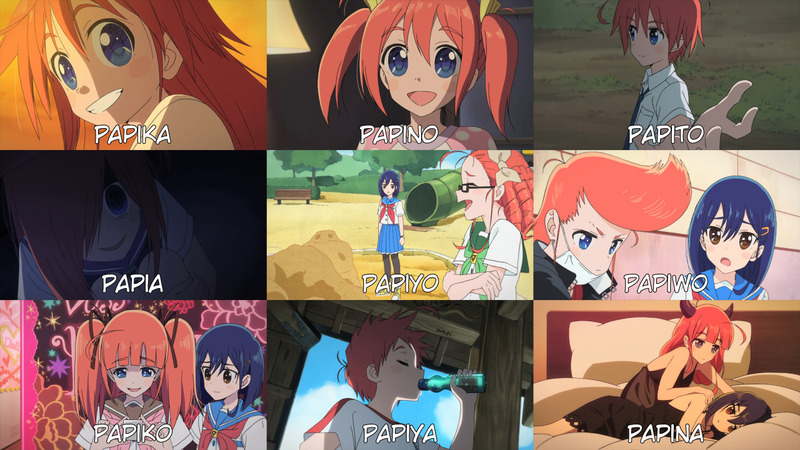 There’s a catch, however: it’s only inhabited by her and different versions of Papika – an amusing lineup of personas seemingly containing character stereotypes that you can see in anime and japanese culture in general; clingy younger sister Papika, school slacker Papika, creepy Papika, ojousama Papika, teenage gang punk Papika, BFF Papika, ikemen Papika and lustful demon Papika. Which all have their own name in the credits, of course. But while they might represent fragments of her, none of them are the real Papika – and that’s who Cocona is searching for. 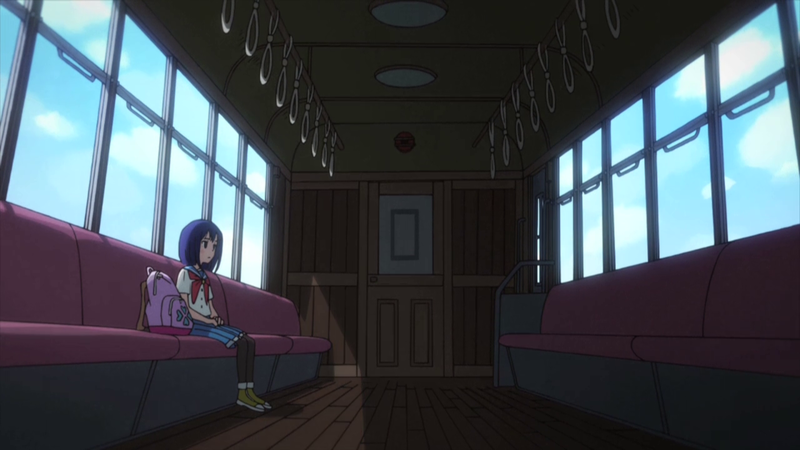 Series director Oshiyama, who storyboarded this episode, focused on the emptiness of the world where Cocona roams alone while searching for her actual companion. 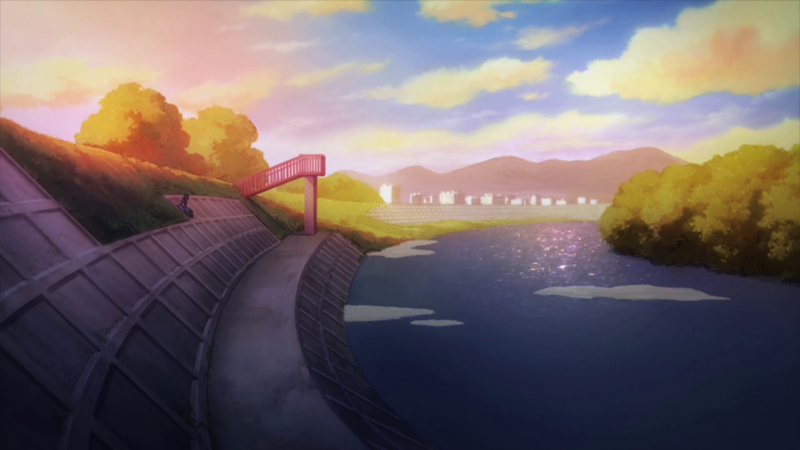 The sequences of Cocona walking through the city, riding a train and sitting at the riverside showed how isolated she was. Thankfully, the real Papika – who presumedly went through a similar experience – found her and saved her from this world. This incident will surely strenghten their friendship… or relationship? 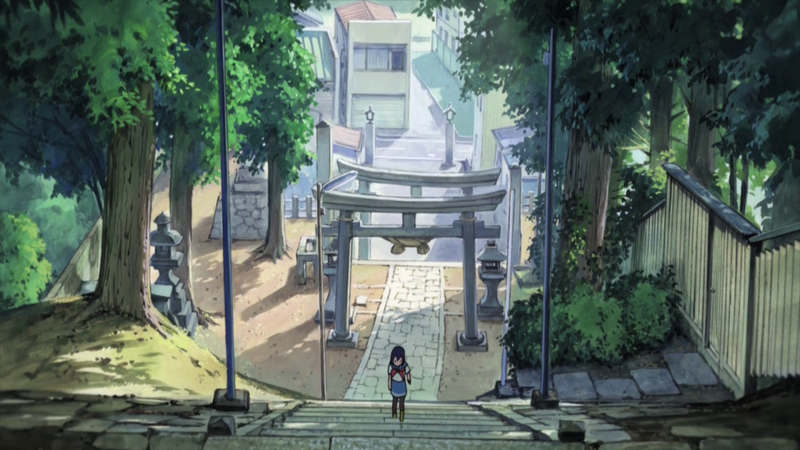 This episode’s strongest visual aspect was surely the backgrounds. Studio Pablo had to carry this episode more than usual due to its nature, and usurprisingly it worked! The scene at the shrine was easily the highlight. Its a shame the studio is leaving the production for episode 8 and 10-13. The animation highlight is an easy one to pick – Cocona falling into the void, possibly animated by Naoya Wada (? ), and Papika picking her up and rescuing her. There’s a rumor going around that Kusunoki Oshima is a pen name of Toya Oshima and that he animated this cut. After a series of rather calm and subdued episodes comes a bombasting outing, even crazier and bigger in its scale than episode 3. 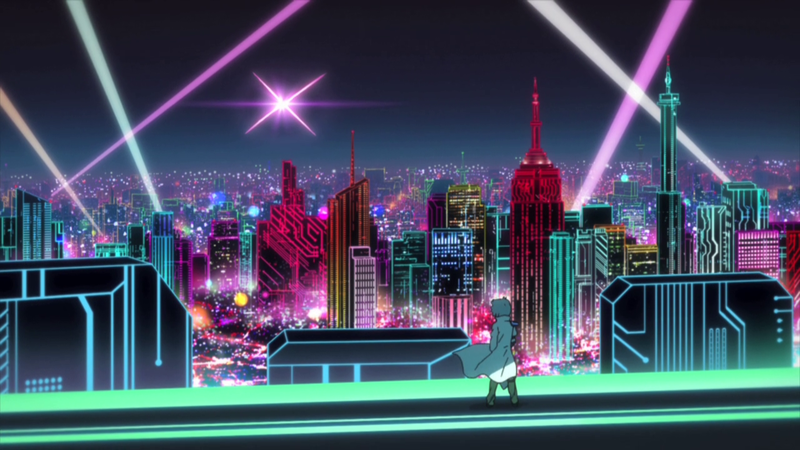 Our cast gets transfered into a Pure Illusion that looks like a big futuristic city dominated by neon lights and high tech quirks. And who else could be put in charge of such an episode than a team of young animators that makes full use of anime’s advancing digital 2D animation – the so called webgen animators. There’s not much that can be said about this episode on an overt narrative level. The city, created by a short scientist, is getting attacked and destroyed by animal-like creatures. Cocona and Papika as well as Yayaka’s team fight them and continue searching for a fragment, when a giant monster appears in front of them with the fragment inside. 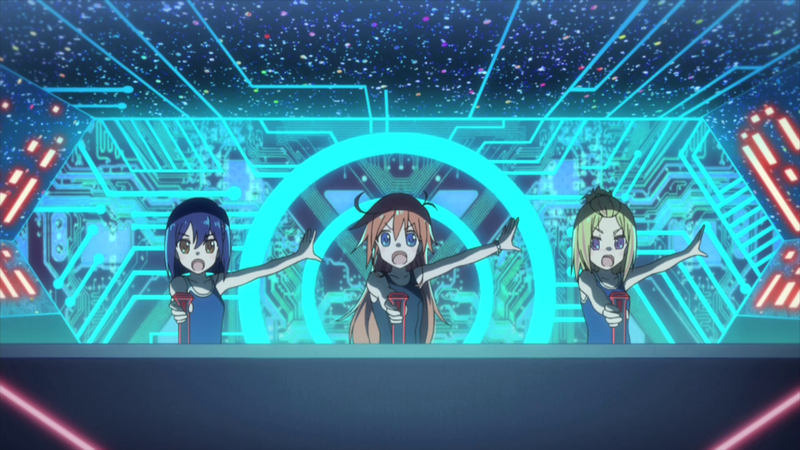 Cocona swears to protect the scientist’s city and together with Papika, they get in his robot to fight the monster. There are also some character conflicts advancing in the background – mainly Papika’s inner conflict about Pure Illusion and protecting things dear to her, and Yayaka’s confrontation with the organization she works for due to her friendship with Cocona. 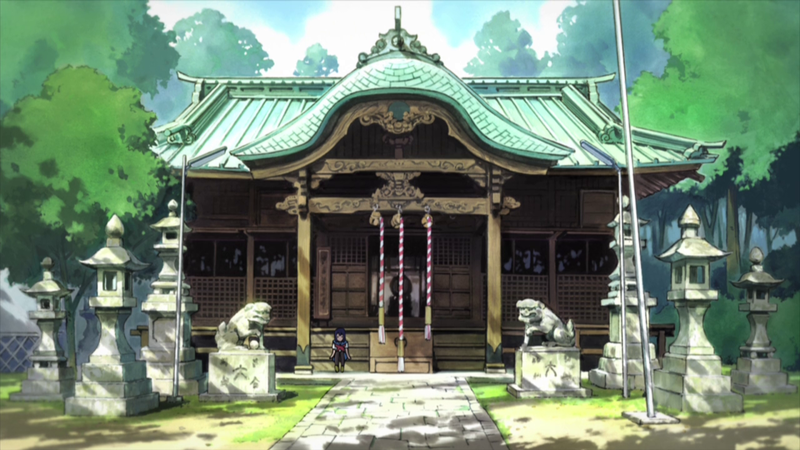 The episode director and storyboard artist behind this episode was Shun Enokido. As a close follower of director and animator Tatsuya Yoshihara, Enokido made his industry debut in 2010 as key animator on Tantei Opera Milky Holmes episode 6, which Yoshihara did animation direction for. Since then, he’s been frequently working on his projects. His main collaborations with Yoshihara include his main animator role on Yoru no Yatterman and storyboard and direction for the opening sequence of Monster Musume. This episode of Flip Flappers was however his debut as a TV anime episode director. He also contributed to animation direction together with character designer Takashi Kojima and three more series regulars. Mecha veteran Satoshi Shigeta was credited for assistant animation director, but knowing him, a mechanical animation direction credit would have been a bit more appropriate. This episode also marked studio Pablo’s first departure from the series. Instead, Inspired was in charge of the backgrounds. Enokido of course brought many of his animator friends and frequent collaborators onboard for his proper directional debut. Keisuke Kojima, who is now working as an animation director on next season’s ACCA, contributed key animation to this episode possibly as a payback for Enokido’s work on his episodes of One Punch Man. Amusingly enough, Enokido himself is also involved in ACCA as a costume designer. This industry once again proves to be very small and well-connected. Ryu Nakayama, who worked very closely with Enokido on Yoru no Yatterman as the other main animator, finally was freed from his duties on Macross Delta and managed to help out here. Takahito Sakazume, Enokido’s possibly most frequent collaborator thanks to their recent Fate/Grand Order TV CMs, also made his appearance. Both Nakayama and Sakazume worked on Enokido’s MonMusu OP so it’s nice to see they didn’t miss the oportunity to work on their friend’s episode direction debut as well. 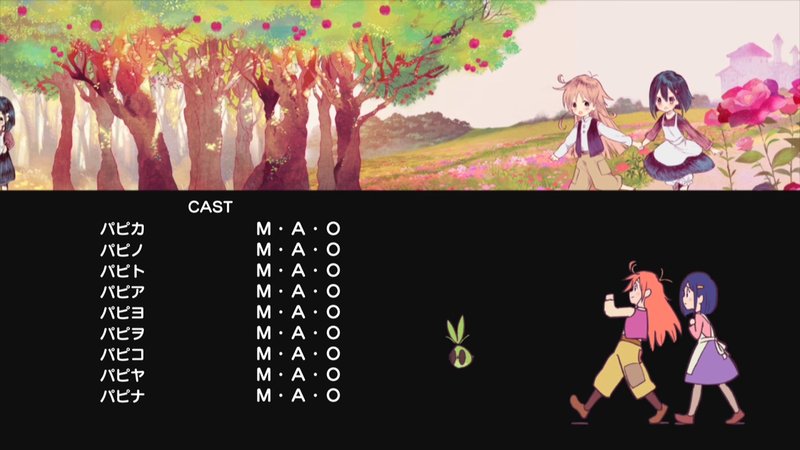 Other outstanding animators that worked on his episode include the abovementioned Satoshi Shigeta, series’ regular Keiichiro Watanabe and episode 6’s Yasunori Miyazawa. As if SB/ED/AD combo wasn’t enough, Shun Enokido also worked as key animator on this episode. His more recent works show that he’s evidently a huge fan of Yutaka Nakamura’s animation style and tries his best to emulate it. He presumably animated the fight against the animal-like creatures. The style of impact frames, beam and melting effects, explosions and liquids in this scene was almost identical to that of Nakamura. Yasunori Miyazawa animated the scientist’s reminiscence of the creatures’ arrival in the city. The part where Yayaka’s team fights the giant monster was possibly my favourite bit of animation in the episode. Lovely background animation and dynamic camera movement made this scene stand out. The gattai sequence looked like it was drawn by somebody with years of mecha experience, so it’s probably safe to assume Satoshi Shigeta was in charge of it. I think Keiichiro Watanabe animated the regeneration of the giant monster’s arm (0:26-0:31 in that clip). Yayaka’s robot fighting the giant moster was a relatively rare occurence of mecha animation by a webgen animator. This episode was all around full of excellent animation. Unfortunately, it also showed one negative thing that happens when you give too much freedom to these young creators; frankly said, they’re massive perverts! Some of the cockpit shots in this episode were a bit too much, even with the narrative excuse that it was all due to the perverted robot’s mind shaping the world. Was all of the animation on episode 8 webgen guys? Not entirely, but the highlights are mostly digital animators doing their thing. As you’d expect from Enokido’s debut really. I agree, the action was great in this episode. I also noticed those fanservicy shots; felt out of character for the show, but knowing the reason for it makes me laugh a bit. I think that episode 8 was likely the first episode that had none of Yuniko Ayana’s influence; that might explain the change in tone from episode 7 to 8. She left after episode 6 over unspecified reasons, and probably left enough work-in-progress to have an impact on episode 7.